﻿ Moclan Boutique Hotel, Da Nang | FROM $45 - SAVE ON AGODA! "I had a great stay." Have a question for Moclan Boutique Hotel? "It has really nice decor, the staff are super friendly and attentive." 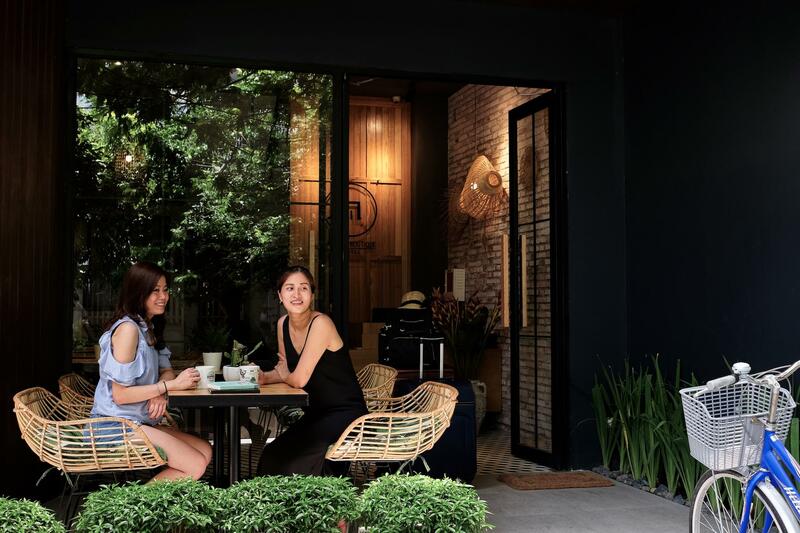 "Nice room & friendly staffs"
"Moclan is a 7-room boutique hotel and my Garden view room is..."
Ideal for fun and relaxation, Moclan Boutique Hotel is located in the Phuoc My area of Da Nang. From here, guests can make the most of all that the lively city has to offer. With its convenient location, the property offers easy access to the city's must-see destinations. The facilities and services provided by Moclan Boutique Hotel ensure a pleasant stay for guests. To name a few of the property's facilities, there are free Wi-Fi in all rooms, 24-hour security, daily housekeeping, taxi service, ticket service. Guests can choose from 7 rooms, all of which exude an atmosphere of total peace and harmony. The property's recreational facilities, which include hot tub, garden are designed for escape and relaxation. When you are looking for comfortable and convenient accommodation in Da Nang, make Moclan Boutique Hotel your home away from home. "Great room, beautiful decor, comfortable bed and Fabulous st..."
This place is beautiful, when the taxi first pulled up, you might get a bit of a shock, the hotel is abit hidden and “local” looking from the outside but once you step inside you will fall in love. It has really nice decor, the staff are super friendly and attentive. They make an effort to make your stay as easy as possible. Would definately recommend! This lovely hotel is the perfect place to stay in Da Nang. We loved the design of the hotel and room. The bed is very comfortable and we enjoyed having a balcony to relax on in the evening. However, the best part of the hotel is the owner, she is very welcoming and takes great care in ensuring her guests are comfortable (and know great places to eat!) Thank you for a wonderful stay. Thank you for accomodating to our booking as we were travelling with a young child which was not a norm at their hotel. Rooms were clean and bathroom was really nice with outdoor shower in one of our room. Smart TV in room. Kaylee is always there when we needed help with directions or recommendations. Great stay, fabulous room and staff was so helpful and friendly. If you stay in Danang make sure it's here. It's only a 5 min drive to the city but it's good to come back and sleep somewhere quiet and peaceful. The staff is extremely helpful and friendly, and the rooms are spacious, clean, bright and well decorated. Small side note: there might be some construction work around the hotel, if you would like to sleep a little longer - check with the hotel on which side you should sleep. My partner and i stayed here for one night and we had a pleasant experience. Unfortunately, the room did not match the one that was pictured on the site so we were pretty disappointed. But, the staff more than made it up to us. Upon leaving we got “gift bags” each with a notebook with a personalised written apology inside. Real, thoughtful, touching interactions like these are hard to come by these days. Thank you so much! We were only there for a very short time, late check in and early am checkout. However during that time the receptionist Bruce did his best to make sure we felt welcomed and had everything we needed. Location was great 5 -10 minute walk to beach where we found some late dinner options. Close enough to city centre as well approx 2.5 km. Great little local coffee house close by. Only improvement would be a breakfast option at the hotel. Thanks Bruce and the other staff at Moclan Boutique. Very beautiful interior design, clean and comfortable. Staff very friendly. Cons: stayed in the balcony room, is quite noisy on the street. Got waken by the noise from the street by 7am both days I stayed there. I’ve stayed in 4 different boutique hotels and this one is definitely the best. Nothing I can complain for sure. Moclan was an absolute gem and such an amazing find in danang! This is the kind of hotel that we dream about staying in whenever we travel! The room was beautiful and exactly like in the photos! 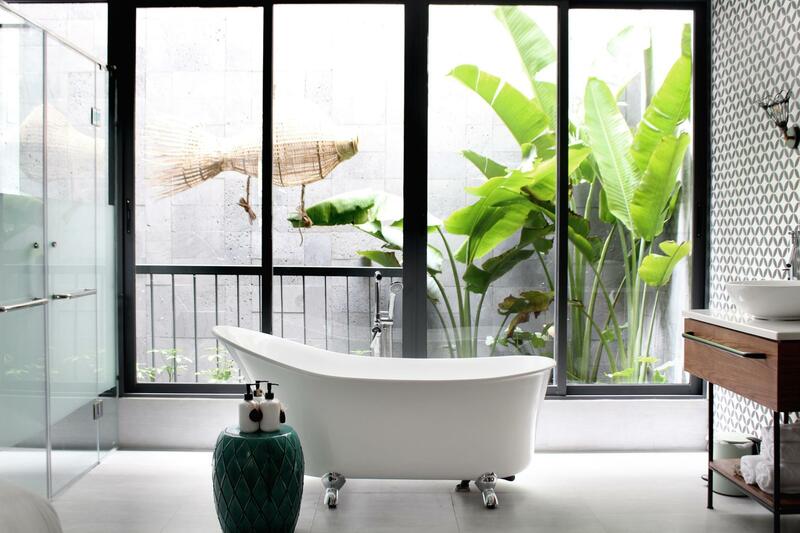 We love how modern the room is, bathtub and outdoor shower. Bonus points to having Netflix in the room!!! The staff were so friendly, chatting with us and giving us recommendations. The owners even compiled little books of recommendations for food and sightseeing in and around danang and left a copy in the room for us to refer to. We love it and will definitely stay here again the next time we are in Danang! Love the modern aesthetics of this hotel. The staff are really helpful. The owner Jane and her hubby Cuong are always there to provide recommendations and tips. Felt really at home staying at the hotel which is 5 mins away from the beach. You will need to take a cab or cycle to city but it is fine for us as the distance is short. Moclan is an extremely charming place to stay in. The staff were helpful and really nice to talk to. I followed some of the recommendations that they listed down inside the hotel booklet and it's really quality recommendations. The room is pretty good looking too. I will definitely come back here for repeated visits. This hotel was just the perfect little retreat near My Khe Beach. The staff are very motivated, personal and friendly. It was never an effort to ask for anything, and they always greeted us with an enthusiastic smile. We're still enjoying our Pea cake gift which one of the reception staff gave us when we left. 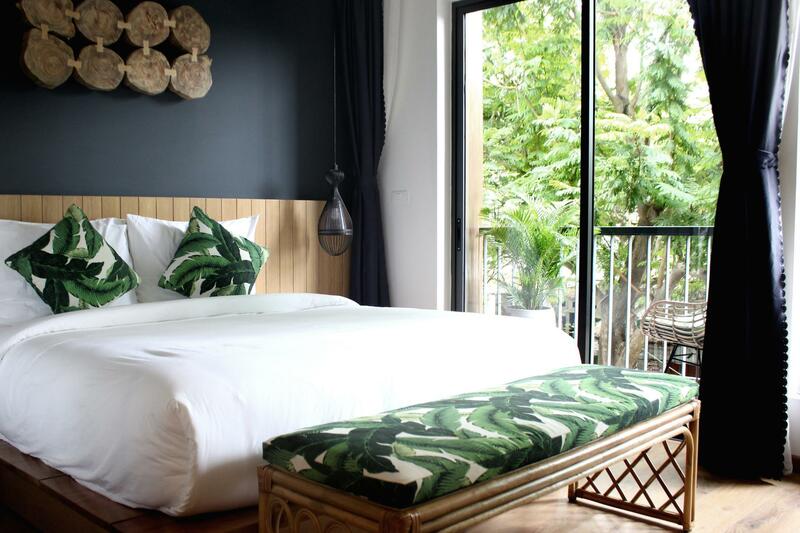 The room is simply one of the best designed and intimate rooms we've ever stayed in and the hotel itself is located on a very quiet and friendly street of flower merchants. The owner Jane provides a bundle of handpicked information on local restaurants and would encourage anyone to try the local restaurants for a unique experience. Transportation is somewhat of a must to go anywhere in Da Nang, and this is no exception. However we had no issue, with Grab and Uber drivers are readily available in the area. Highly recommend this hotel to young travelers and couples looking to get their full flavour of Da Nang with the comforts of well managed base. Really enjoy our stay at this small yet cozy hotel. The bed is extremely comfortable, staff is super friendly and helpful! Love every bits of the decoration! Certainly will stay at this hotel again if we revisit DaNang! First impression of the area is not nice as around is so many construction side like the less of Danang. but I can have bicycle to travel around for free. But staff is nice. Nothing here not breakfast or small welcome drink.